Amongst the most prominent tourist attractions in Madhya Pradesh are the many ancient caves of the state. 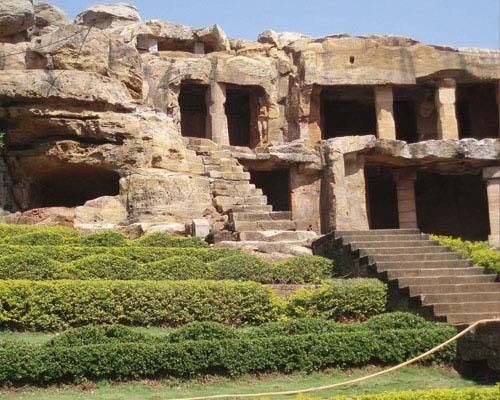 Each of the caves in the state makes a mark with its unique appeal. Bhimbetka Caves, located 46 km from the city of Bhopal, are the most famous and even find enlistment as a UNESCO World Heritage Site. These rock shelters of Bhimbetka are famous for their immaculate pictorial representations, which talk about lives of our predecessors. On the other hand, there are the five caves of Bagh near Mandu, which are striking vestiges of ancient rock-cut architecture of India. Bagh Caves, with their frescos, paintings and sculptures, are one of the most valuable repositories of Buddhist mysticism in India. 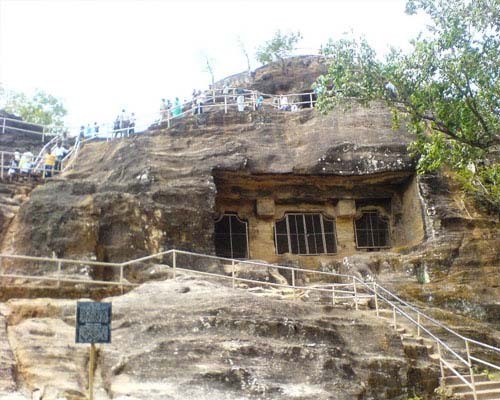 Two other popular caves of Madhya Pradesh are the Bhartrihari and the Pandav Caves. The eminences of these caves are offshoots of their mythological and spiritual endowments. In addition to that, Udaigiri Caves (near Sanchi) claim distinction for articulating art through bricks and stones. In fact, each cave of the state is as riveting as the other is and promises a hypnotizing journey to yesteryears. 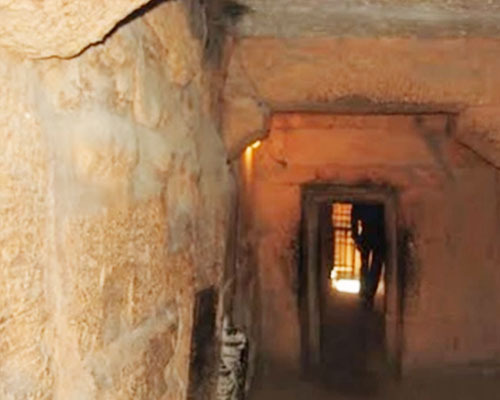 To know more about the ancient caves in Madhya Pradesh, read on. Bhartrihari caves of Madhya Pradesh stand proudly on the bank of the Shipra River, near the revered Gadkalika Temple of Ujjain. 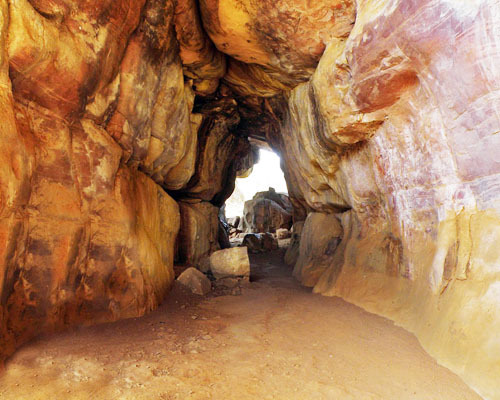 Named after the famous sage 'Bhatrihari', the caves stand as testimony to the traditional wealth of India. The spurts of creative outpourings of the Guptas were legendary and served as the hallmark of the dynasty. If you want to have a rich glimpse of architectural legerdemain of the Guptas, just check out the Udaigiri Caves of Madhya Pradesh. 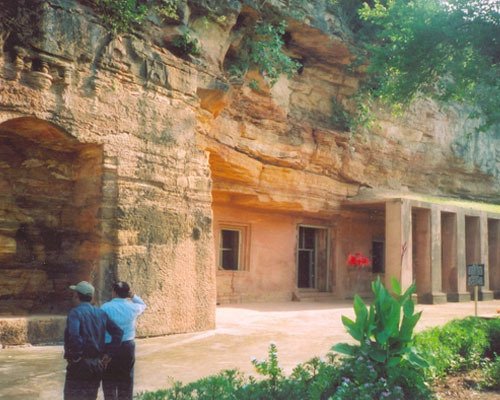 Bagh Caves of Madhya Pradesh are counted amongst the finest specimens of Buddhist art and architecture in India. Located 50 km west of Mandu, this cluster of five caves falls on the road between Indore and Vadodara. The word 'cave' is incongruous, as these cave sanctuaries have not been naturally formed. An important tourist landmark in Panchmarhi, Pandav Caves lend their name to this picturesque hill resort of Madhya Pradesh. According to local legends and popular beliefs, the five Pandav brothers of Mahabharata, along with their wife 'Draupadi', spent a part of their exile here.